It's been a hectic and exciting week here. 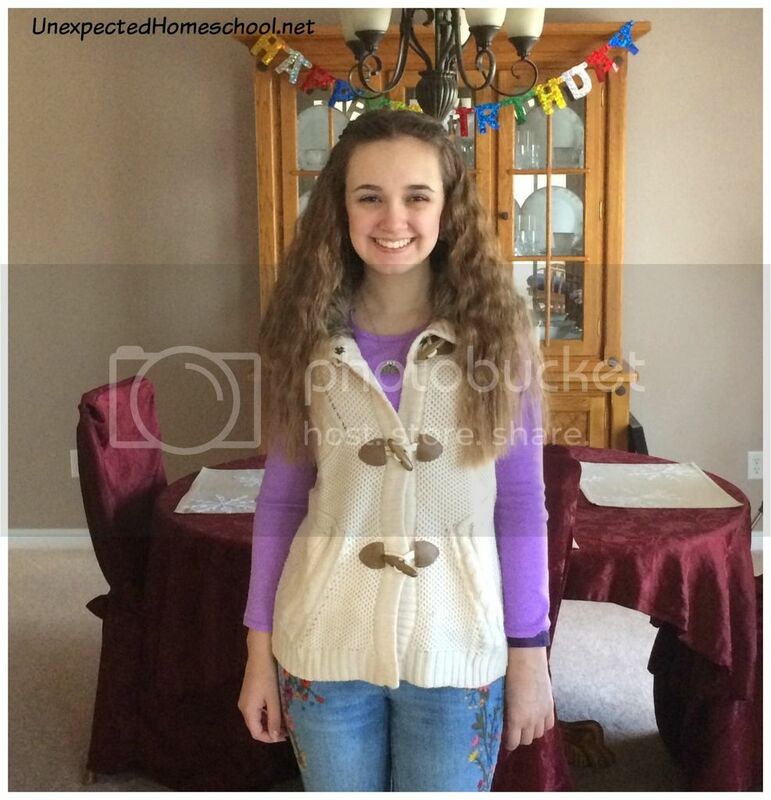 We agreed this year there would be only one day taken off of school for Amber's birthday celebration - her actual birthday. 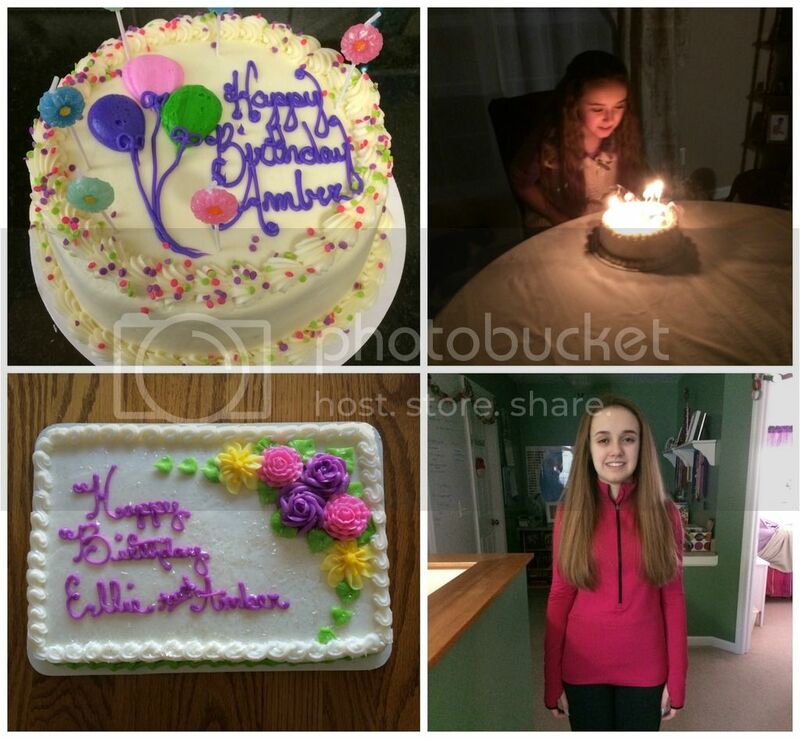 We did plan to make the day after her birthday our January "Amber and Mom day" to allow Amber the time to recover. Our plans almost worked out. Monday started out a little slower than we wanted and Amber was still very symptomatic with dizzy spells, exhaustion, and very low cognitive function. She did manage a few lessons before physical therapy. First off she was able to complete a single math lesson in Life of Fred Algebra 2, but past that her abilities were much more limited. It's like it took everything she had to do the one lesson. Still she was able to read a small amount of history, and advance through the preparatory lessons in literature before beginning Peter Pan. 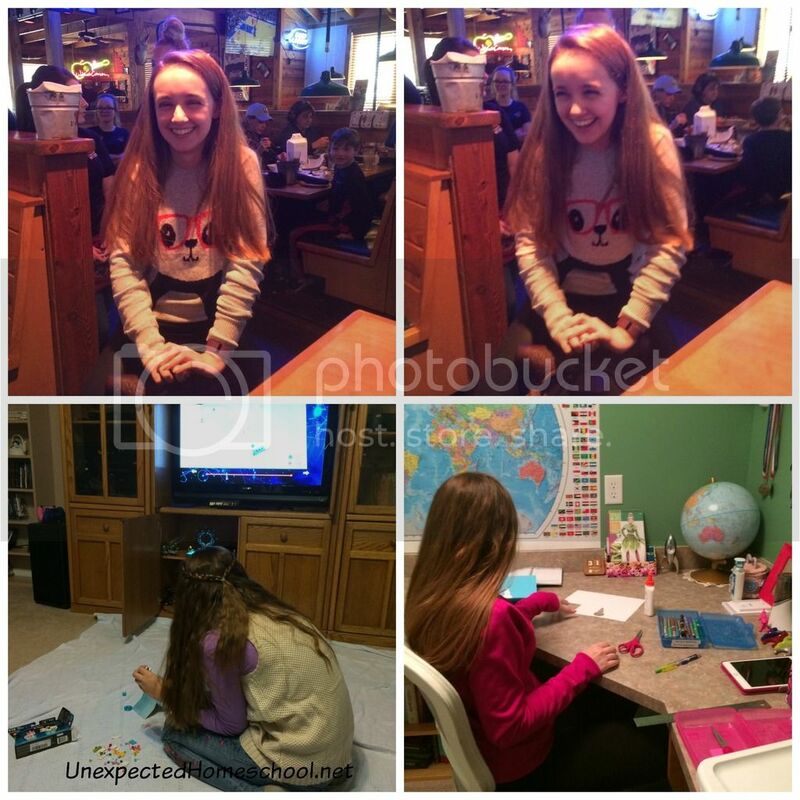 Later in the day she also worked on her art assignments for the co-op art class and finished the yearbook assignment. Ready for her epic birthday adventure. Her physical therapist worked her while taking it easy on the upright exercises since he could see she wasn't doing well. It doesn't look like Amber will be dropping to every other week therapy any time soon. Amber pushed through the session and never complained. Her therapist and I did need to get her attention several times though because her mind wandered off and she's gone. An orthotics specialist (who is also a PT) also came to Amber's PT session to look at her feet and fit her for shoe inserts. It was determined to only treat her falling arches at this time. There was some consideration of trying to help correct Amber's walking gait with the orthotics, but it has been determined her difficulties come from weaknesses and problems with her hip joints. Now we just wait on the inserts to be made. Annual birthday celebration at Texas Roadhouse (at our usual Saturday lunch). More LEGO Dimensions, and birthday card making for a friend. Tuesday was Amber's 14th birthday and it was a frigid day here. I had an "epic birthday adventure" all set up that caters to Amber's varying abilities. First though, we had to stop at Junior Achievement to pick up our Finance Park curriculum. Amber will be going to their Finance Park simulation in February, but lessons are required in advance. We then started Amber's birthday riddle hunt. She was given riddles and had to guess where it described. 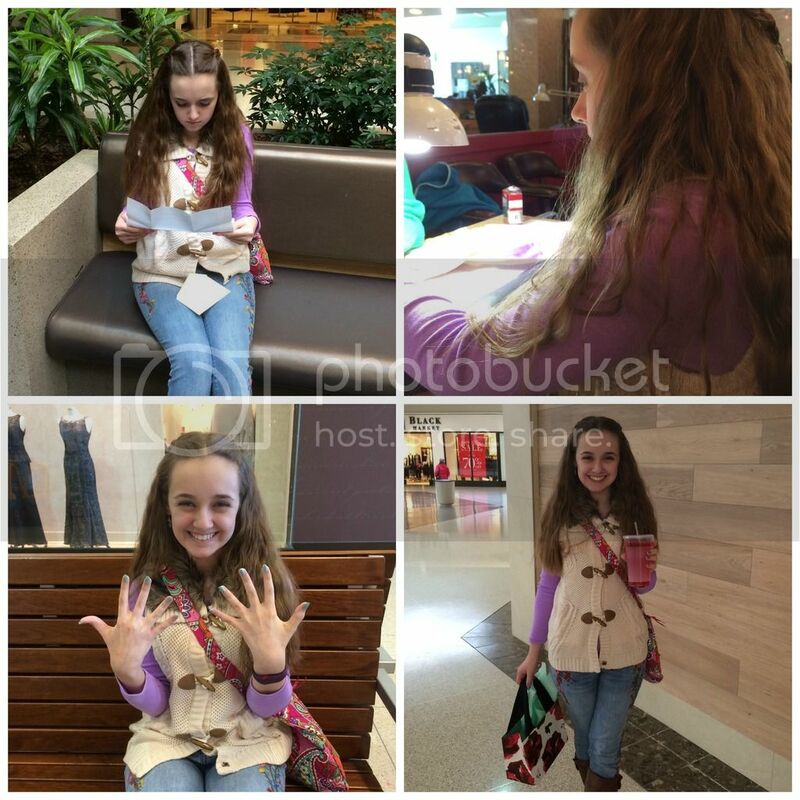 Each was a fun location and mostly all inside a single mall, which allowed her to stay out of the cold and rest whenever necessary. I was careful to watch Amber for signs of fatigue since just about any of the stops could be skipped and she would have never known. 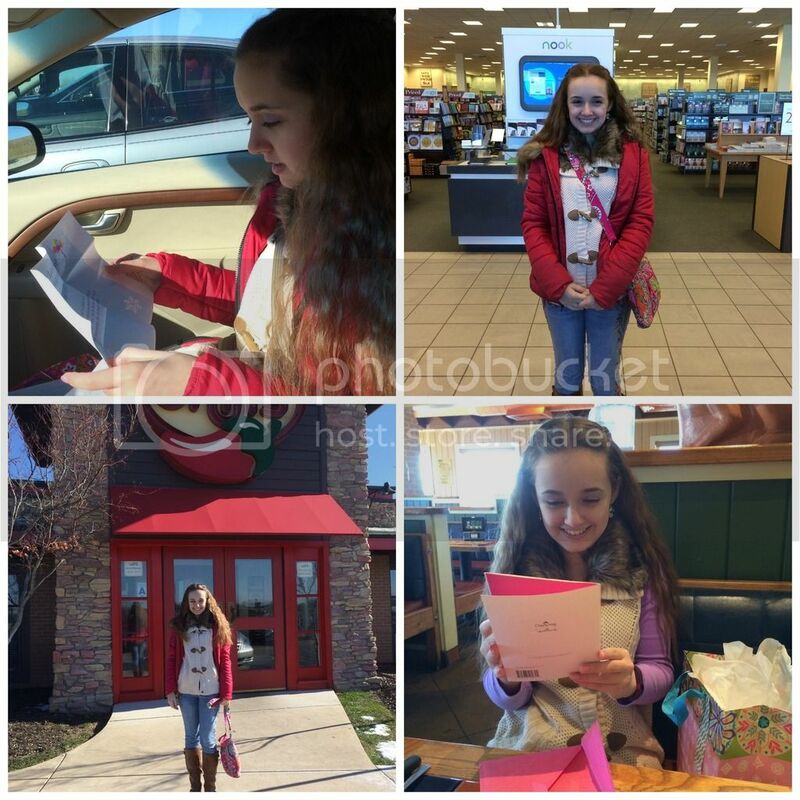 The first stop was Barnes and Noble outside of the mall where Amber was given a gift card to shop. Next we met Grandma at Chilli's for lunch, again just outside the mall. The remainder of the stops were all inside though: she had her nails done, went for a glass of tea at Teavana (and some to take home too), the Clinique counter for a new eye shadow color, picking out a new comfortable athletic shirt (she loves Nike and Under Armour shirts), and a snack. Amber was tiring by the last one and chose to have her snack at the bakery where we would be picking up her birthday cake. Her first riddle and stop. Then lunch and presents with Grandma. 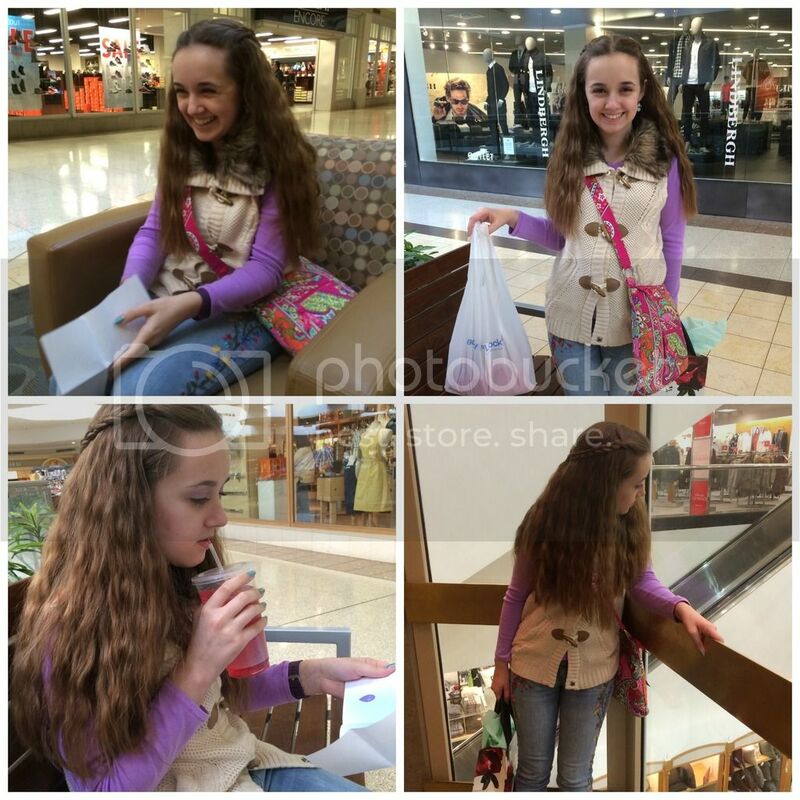 It was a fun day with just enough exertion and it made Amber very happy. She still hasn't stopped talking about the excitement of having to solve each riddle first. Wednesday we ended up not having our "Amber and Mom day", but instead a make-up party with Amber's friends. The joint birthday for Amber and her friend who is moving to Kenya was supposed to happen last Saturday, however the host of the party and her entire family came down with a stomach bug. The party was then moved to Wednesday. The girls had a blast even if it was a little bittersweet. Amber received many lovely gifts from her friends, but one item of note was a Lilla Rose hair clip. Amber had not heard of them before, but instantly recognized it as what her friend wears all the time. I had read many reviews online about Lilla Rose, but honestly never believed the reviews nor thought it would work for Amber. Many hair clips claim they work well, and none have ever held Amber's hair. She has unbelievably thick and heavy hair that looks deceptively normal until you actually touch it. Many people have been surprised by the amount of hair she actually has. Her hair is also stick straight with fine individual strands. The texture is so very smooth just like mine that most hair clips slip right through our hair. So Wednesday night I grudgingly tried the Lilla Rose clip on Amber's hair because she wanted to wear it to co-op on Thursday. To my utter amazement it held her hair without issue. Who knew? Amber wore her hair with the front pulled back and it didn't slide all day Thursday. I foresee more of these clips in Amber's future and fewer rubber bands. More riddles to make her giggle and confuse, her reward for solving, and the end. Leaving by the glass elevator. Lastly, Amber has a new physical exercise plan we are trying to implement. I'm heavy into altering / detailing plans for the rest of high school. We've been mapping out possible locations for Amber to attend college and how that affects her high school needs. We've also decided to unit study / piece together many of her credits over several years instead of using full semesters or years of a single curriculum. For example: the JA Finance Park with be part of her Personal Finance credit and the U.S. Elections will be part of her civics credit. She may not finish either one of those credits until years from now, but she is getting a start this semester. And a little worn out today, but wearing her new shirt from the epic birthday adventure! We're also looking into our options for science. Amber wants to know about the natural world and scientific information, but is struggling with science as a formal subject. Apologia is mostly working for Physical Science, but suspect it will be too much soon. This is such a mind opening experience for me to search out alternative options. Hopefully, I'll have a good list soon and can share some of our ideas. That sounds like a really fun Birthday for Amber. Philip's is coming up this weekend. I don't have anything planned yet and actually there is a scout camp that weekend. I like the Junior Achievement courses. Most here are instructor led so I will have to see if I can arrange something. I might use the US site in the meantime. What a fun birthday idea. I will have to remember that one. We are starting the Homeschool in the woods election course next week too. It looks great. Happy birthday Amber!